Mercedes-Benz is recalling millions of diesels in a bid to cut toxic nitrogen oxide (NOx) gases. Nearly every Euro 5 and Euro 6 diesel car and van will be affected by the announcement, with owners being offered a free and voluntary software update that will be carried out by their local Mercedes-Benz dealer. The software update will cost the German carmaker an estimated £195m and see some three million diesels being recalled across Europe. It is unclear how many cars will be recalled in the UK. Affected engines include the four-cylinder 1.6-litre and 2.1-litre diesels, along with the 3.0-litre V6. The latest OM 654 family of 2.0-litre diesels that are fitted to selected E-Class and C-Class models are not affected. 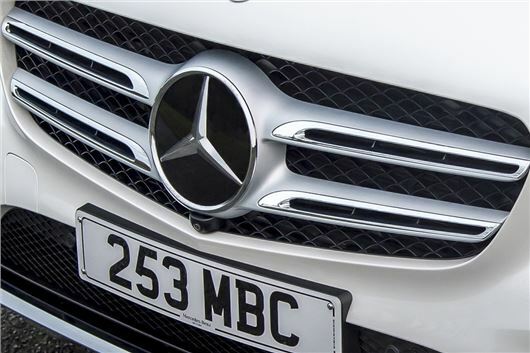 At this stage Mercedes-Benz is keen to stress that the recall is completely voluntary and owners will not be forced to have it done or have their warranty cancelled if they refuse to have the work carried out. Owners will be contacted by their local dealer by post or telephone to arrange the free inspection and software update. The work will take roughly an hour to complete and Mercedes-Benz has stated that it will not impact performance, certified economy or reliability of affected diesel engines. “The public debate about diesel engines is creating uncertainty – especially for our customers. We have therefore decided on additional measures to reassure drivers of diesel cars and to strengthen confidence in diesel technology,” said Dr. Dieter Zetsche, chairman of the board of management of Daimler AG and head of Mercedes-Benz Cars. More DPF Regens like VW cars? if it makes no difference, why mess customers about? Come clean MB time for integrity over b*******! Low mentality response me thinks. I would only have the modification applied if I could have it removed if I wished. The problem is that I like to have my engine and gearbox firmware updated. I have a 07 Merc 320E CDi, and the newer firmware greatly improved the drivability of the car. The emissions fix will be included in all upgrades moving forward so having it at some point will not be an option. "it will not impact performance, certified economy or reliability" what about real world economy? If all this can be done, then why wasn't it done originally - something's not adding up. Hopefully lots of other people will have it done and will report on any problems before it ends up getting done to my car as part of routine upgrades. I go along with Jeddy's last paragraph. I have a 2009 C250cdi Sport. It's done 62,000 miles and still drives like new. The main dealer tells me it's only just run in !! It's looked after like a baby. I don't want anyone messing with it until I'm satisfied that it will not spoil what is know a real pleasure to drive. Honest John kept peddling the VW rubbish about no effect for months. HJ has been very quiet since the Watchdog program. I would suggest that anyone thinking about getting this update done speaks to VW owners with problem. Check thw Volkswagen diesel customer forum or #fixfail. Dr Zetsche is wrong. The public debate is not causing the uncertainty bout diesel engines. The manufacturer's are doing it all by themselves. Well, so do VW/Audi! Given the problems those drivers have had with the emissions "fix" I think people are quite within their rights to be suspicious over any "upgrade" which seeks to reverse any emissions defeat software. This is part of the emissions scandel. So much for HONEST JOHN!! loopyria, I think what you mean is that MB have not been caught so far. I wonder why their offices have been raided in Germany? I suspect another diesel gate. The problem is down to the testing being done on laboratories and governments allowing it. A more realistic figure for emissions would be achieved by a road test. The MPG would also be more accurate. the mb recall is voluntary so you dont have to get the software/ firmware upgrade done if you dont want it, since it is to reduce nox my guess is that it is to adjust the adblue dosage which is not the same as vw but the green vet a pushbike brigade areshouting about toxic emissions and 10k deaths per year due to euro 5/6 compliant diesels when millions of us survived 19660s yellow smog. Had the software update completed by Mercedes this month and I have noticed a significant reduction of about 10mpg! The car was in for a warranty repair and Mercedes did not ask me for authorisation to carry out this update. Likewise, no authorisation sought to permit them to carry out the update. Fuel consumption degradation noticed on the drive back...I now reckon about -8%, with significant turbo boost reduction. Overtaking has gone from 'hold-on-tight' to 'where's the grunt?' UK HQ intent on a cover-up and not bothered about any customer concerns, higher fuel costs, blunted performance. Just resurrected this matter with M-B Customer Services and the reply was "I understand that you have read of similar experiences from other drivers and I am sorry that this is not something that I am able to advise further on"
It's a big cover up about a subject they want to bury. The software 'fix' is now two years old and they are relying on people taking their cars in for servicing and then surreptitiously modifying them without owners' authorisation. Has anyone received any formal notification to have a software update? Thought not. I expect M-B have told the EU regulators that 100% of cars in their network have been modified!